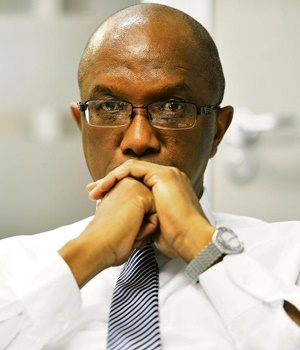 Auditor General Kimi Makwetu has slammed the Competition Commission in his audit report, after the entity incurred R128m in irregular expenditure and initially failed to provide the necessary financial statements for audit. The audit was published in the Competition Commission's annual report for the 2017-18 financial year, tabled in Parliament last week. The Competition Commission is a statutory body that investigates uncompetitive behaviour, while the Competition Tribunal adjudicates cases and hears appeals. In his audit report, Makwetu said the Commission not only incurred millions in irregular expenditure, it also exceeded its approved budget. "As disclosed, the public entity incurred irregular expenditure of R128 590 000, as it did not follow a proper tender process and the public entity exceeded its expenditure in terms of its approved budget," said Makwetu. Total irregular expenditure amounted to R128 590 000, according to the report. This included R86 103 000 for the current financial year, and R40 021 000 from the previous year, which was identified in the current year. R40m in 2017 plus an additional R86m in 2018 related to contravention of the regulations for supply chain management, for costs incurred on forensic, economic and legal experts utilised on cases. Investigations are pending. Another R1.5m in irregular expenditure which resulted in a condonation from Treasury. Meanwhile the commission has put through a request for a condition of R1.7m for a separate matter. Regarding due process, Makwetu said there were "numerous supply chain management irregularities". This was because "sufficient guidance" was not obtained from National Treasury for the procurement processes to be followed. The commission has said it is strained for resources, which it needs to uncover anti-competitive behaviour by businesses including price fixing, collusion and cartels. Economic Development Minister Ebrahim Patel committed during his budget vote in May 2018 in to give the commission the additional funding it needed to keep watch over markets and industries. The minister also led the process of amending the Competition Act to do away with loopholes, which he says businesses exploit. While the entity did get an unqualified audit, the Auditor General made a finding on compliance of financial statements with the public spending framework. In the accounting officer’s report, Competition Commissioner Tembinkosi Bonakele said the commission was not immune to financial constraints, which plagued all spheres and entities of government. "There are areas in which we aim to improve performance in the coming financial year and this continued improvement on performance is a subject that dominates the commission’s executive meetings throughout the year," said Bonakele. Fin24 reached out to the Competition Commission, but had not yet received a response by deadline.